SolarCity Corp (NASDAQ: SCTY) has gained momentum in its share prices after the second quarter 2014 earnings. The share price has increased by 1.1% after the announcement of the second quarter financial results on August 7, 2014. Further, the brokerage firms are hopeful for further improvement in SolarCity Corp (NASDAQ: SCTY)’s share prices. It has a “Buy” consensus rating from over seven different brokerage firms including JP Morgan Chase & Co., Credit Suisse, and Canac Cord, which initiated the coverage of SolarCity’s shares. SolarCity Corp (NASDAQ: SCTY) released its quarterly results for the second quarter of 2014 on August 7 2014. The company reported revenue of $61 million, which was 61.7% up from its revenue in the same quarter in 2013. The company lost $0.52 per share or net loss of $47.7 million in this quarter. The good news is that the company deployed 107 MW with a 102% year-over-year improvement and it booked 218 MW, which is 216% better than what it did in the second quarter of 2013. According to the CEO of SolarCity Corp (NASDAQ: SCTY), Lyndon Rive, “We are well on our way to achieve our million customer goal in 2018.” The company added over 30,000 customers in this quarter as compared to 8,559 in the second quarter of 2013. SolarCity has installed solar panels for as many as 141,034 customers until now and the company is looking forward to an increase in its customer base. 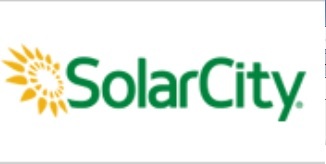 SolarCity Corp (NASDAQ: SCTY) is among the leading solar device manufacturers and installation companies in the United States. The company designs, installs, leases or sells solar devices to a wide variety of commercial as well as residential customers. The company is also involved in the sale of electricity generated from solar panels. The Company has a market cap of $6.79 Billion and over 4000 employees working throughout the United States. Click here for the latest news about AMC Networks Inc (AMCX) Boost Its Revenue With The Acquisition.